The Albert Camus Society is an international organisation made up of three groups: The Albert Camus Societies of the UK, US and Poland. 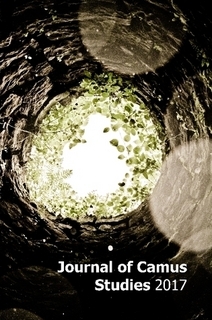 Together we hold a joint annual conference and publish The Journal of Camus Studies (JCS). 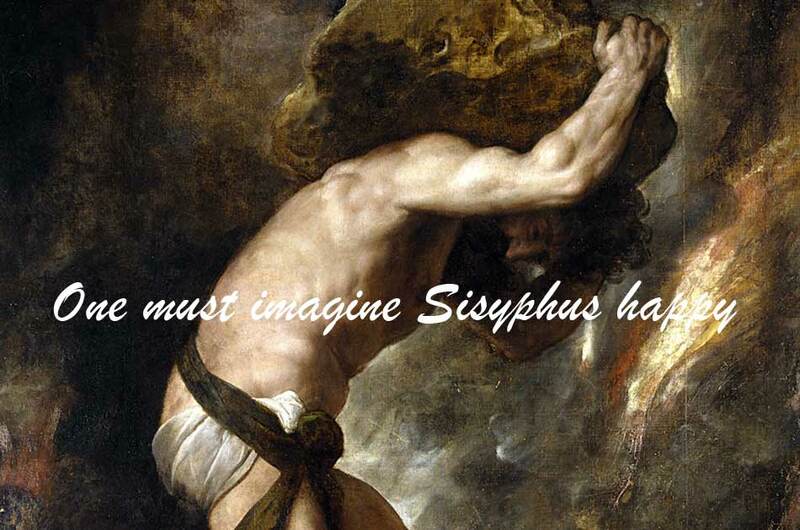 … an interdisciplinary forum for scholarly conversation about the life and work of Albert Camus. … [to be] at the centre of contemporary academic debate and discussion about Camus. [To] provide a genuinely international and interdisciplinary scholarly resource for exploration and examination of the thought of Albert Camus and his contemporaries. The Albert Camus Society (ACS) exists to promote scholarship on the life and work of Albert Camus by providing an international platform to share, exchange and debate ideas and research. The ACS aims to bring together, from within and outside academia, all persons interested in the work and ideas of Albert Camus. The purpose of the ACS shall be served by: holding an annual international conference; publishing annually the Journal of Camus Studies; maintaining and updating the Society website; liaising with any other societies, institutions, publishers, and the media that have an interest in furthering awareness of the work and ideas of Albert Camus. Membership is available to anyone who subscribes the aims just stated. Membership is £12.00 renewable annually. Members are entitled to a 50% discount off their conference registration fee for the conference taking place during their membership period. In addition, members will also receive a 10% discount off the price of the Journal of Camus Studies published during their membership period. To join the Albert Camus Society you will need to purchase the One Year Membership Booklet the cost of this booklet covers your membership dues for a period of one year. 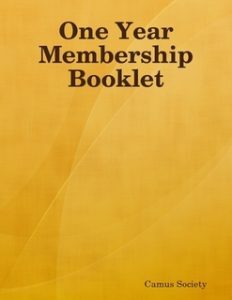 Inside the booklet are instructions on how to complete your membership application. There is a brief form to complete and return to us so we can send you your unique membership number. Filling out the form should take minutes but please allow up to 7 days to receive your membership number.